Please use our battery finder for fuji, casio, kodak or panasonic to check which battery you need. 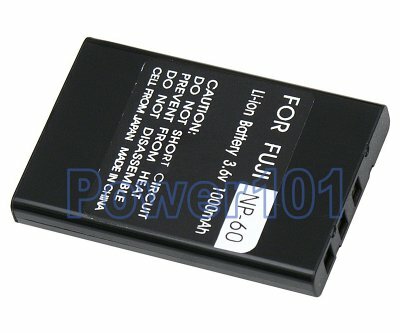 This battery is not only designed to fit Fuji cameras, but also fits some Panasonic, Pentax, Kodak, HP, Toshiba and Casio models. Some of the compatible cameras are: FujiFilm 50, 60, F401, F410, F601, Kodak DX7590, EasyShare 1, Z730, Z760, Z7590. There are many others. Please check our compatibility list for details. Moreover, it can be used with some ham radios and toys. 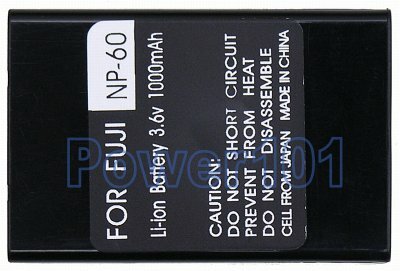 The battery can be charged by any charger compatible with the Fuji NP-60 or Casio NP-30. Such as the charger that came with your camera.